Brock Long is the latest Trump administration official to draw scrutiny. The Department of Homeland Security's internal watchdog office is investigating whether Federal Emergency Management Agency chief Brock Long used government resources for personal travel. During his press conference Thursday at FEMA headquarters, Long addressed the investigation directly and promised to cooperate. "I'm very aware of a recent article in regards to an ongoing investigation by the OIG in regards to FEMA vehicle usage," Long said. "Every day we work very closely with the OIG and GAO to make meaningful improvements to make sure that we're running programs and policies accordingly and to regulation and bottom line is we'll continue to fully cooperate with any investigation that goes on and own up to any mistakes and push forward and keep going and keep moving on," he said. 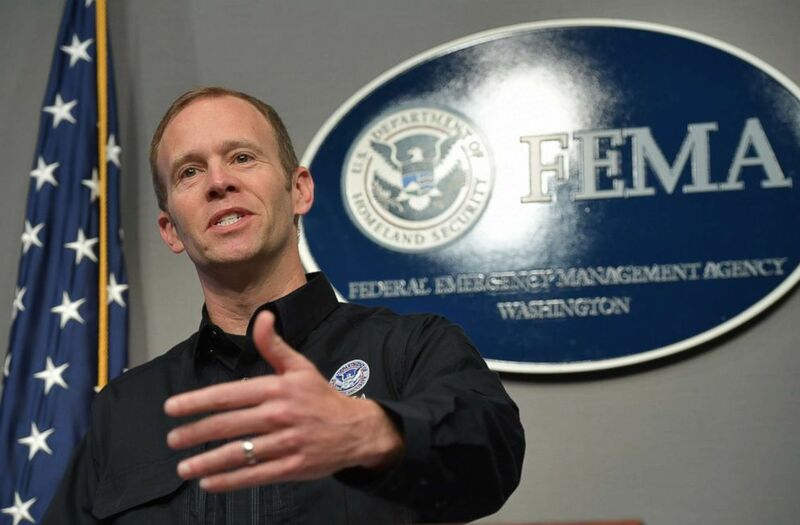 (Mandel Ngan/AFP/Getty Images) FEMA Administrator Brock Long speaks during a press conference on the federal response to Hurricane Irma at FEMA headquarters in Washington, DC, on Sept. 12, 2017. "I would never intentionally run a program incorrectly. Bottom line is if we made mistakes on the way a program was run then we'll work with the OIG to get those corrected. Doing something unethical is not part of my DNA and it's not part of my track record my whole entire career so we'll work with the OIG," he continued. The DHS inspector general's office is investigating whether Long misused government cars and staff drivers to travel home to North Carolina on the weekends, according to Politico. Long was chosen by President Donald Trump to lead FEMA and confirmed by the Senate in 2017. He is currently overseeing the preparations for Hurricane Florence, which is expected to hit the Southeast hard. DHS press secretary Tyler Houlton said Nielsen has confidence in FEMA's leadership in a statement. "All questions about any potential investigation by the Office of the Inspector General should be directed to the IG. At this time, we are fully focused on preparing for, responding to, and recovering from Hurricane Florence and the storms in the Pacific," Houlton told ABC News. "The secretary is confident in the leadership at FEMA and their proven disaster management ability." FEMA similarly directed all questions to the DHS inspector general's office. "Any questions regarding a particular investigation should be directed to the Department of Homeland Security’s Office of the Inspector General (DHS OIG). FEMA fully cooperates with all investigations conducted by the DHS OIG. Administrator Long and the FEMA workforce are focused on preparing for, responding to, and recovering from Hurricane Florence and other active tropical systems," FEMA Director of External Affairs Jessica Nalepa said in a statement. "Having worked directly with him for over a year, I know Administrator Long to be an experienced and respected emergency manager. Since his confirmation, the Administrator quickly earned the respect of the entire emergency management community, many in Congress and, most importantly, the FEMA workforce, during the most historic and challenging time in the agency's history. He is known for his passion to help disaster survivors in their time of greatest need," Nalepa continued. Several current and former Trump administration officials have been investigated over their travel expenses. Former Health and Human Services Secretary Tom Price resigned after his trips on private planes raised eyebrows. Former EPA Administrator Scott Pruitt's spending of taxpayer dollars also came under scrutiny, as did the travel expenses of former Veterans Affairs Secretary David Shulkin's travel. Interior Secretary Ryan Zinke is currently under investigation for his role in a real estate deal in his hometown.